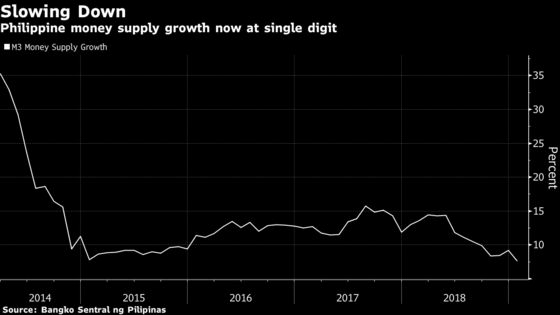 (Bloomberg) -- The Philippine central bank is facing pressure to reduce the reserve requirement ratio for lenders to ease liquidity constraints. BDO Unibank Inc. President Nestor Tan said money supply is “tight” and funding costs are rising as “people are going after the same pool of funds.” Reducing the ratio of cash that banks must hold in reserve from 18 percent would help, he said. The central bank cut the reserve ratio by a total of 2 percentage points last year, yet it remains one of the highest in Asia. 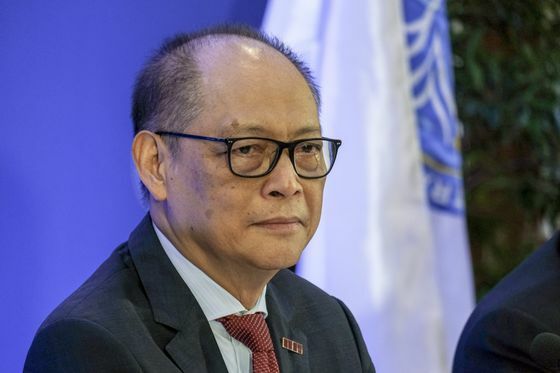 Central bank Governor Benjamin Diokno, who took office earlier this month, has said he’d like to lower it by 1 percentage point every quarter, but any move would be data-dependent. Bangko Sentral ng Pilipinas raised interest rates by a total of 175 basis points last year, making it one of the most aggressive central banks in Asia last year, resulting in tighter financial conditions in the country. The bank is trying to avoid easing monetary policy too soon, even though inflation has slowed sharply, given mounting global risks and currency volatility. The Monetary Board, which decides whether to cut the reserve ratio, is holding its regular weekly meeting on Thursday. Felipe Medalla, a member of the board, said the agenda of the meeting is confidential until after it’s concluded. “Operational adjustments in reserve requirement were done in regular meetings, not the policy stance meeting, which is held every six weeks,” he said. An RRR cut would be optimal to address the liquidity squeeze after the sharp rate hikes in the second half of last year. The loan-to-deposit ratio for the banking system rose to 79 percent, it’s highest in five years. Lower reserve requirements should free up funds for lending. Demand for money may pick up in April when tax payments fall due and as people need more funds during the Easter break next month. Cezar Consing, chief executive officer of Bank of the Philippine Islands, said tight liquidity conditions are likely to ease soon.